Huy Tran currently works at Liberty Mutual Insurance in their Catastrophe Research and Development Group, which looks at modeling losses and managing risk from natural catastrophes like hurricanes, earthquakes, and tornadoes. 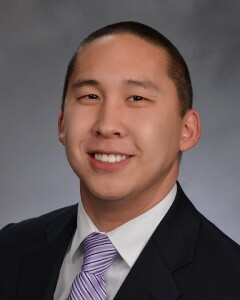 At Liberty Mutual, he is also a founding member and community co-chair on the leadership team for their Asian-American employee resource group LEAAP, Leading and Empowering Asian-American Professionals. He graduated with a dual degree in Electrical and Computer Engineering in 2011 and then earned his MBA in 2012, both from Northeastern University.